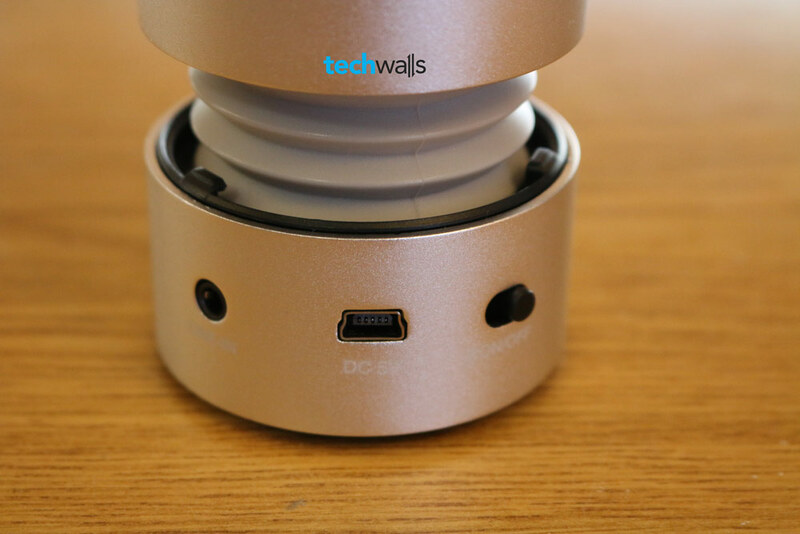 I’ve reviewed many portable Bluetooth speakers on TechWalls, but not all of them are small enough to carry around easily. Recently I tried the JBL Clip and it is really a good choice, today I’m going to test another mini wireless speaker that could fit in the palm of my hand. That is the Bassboomz Bluetooth speaker. I anticipated a better performance on this speaker because it is rated at 4.4 out of 5 stars on Amazon. Let’s read on for my review of the palm speaker. 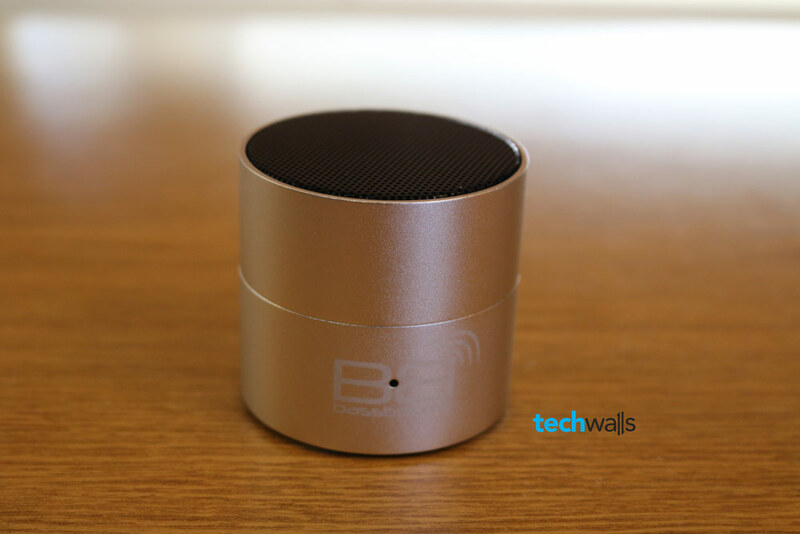 Bassboomz is one of the smallest Bluetooth speaker I’ve ever used. Out of the box, you will see a small speaker along with a USB cable and a 3.5mm audio cable. However, the speaker you see is being opened and you even can make it smaller by pushing the top and bottom parts together. This is what they call the Bass Expansion System and BassBoomz recommends us to open the speaker to enjoy a better sound. You can open it again by twisting the top counter-clockwise, then it will pop up again. The process is demonstrated in the overview video above. 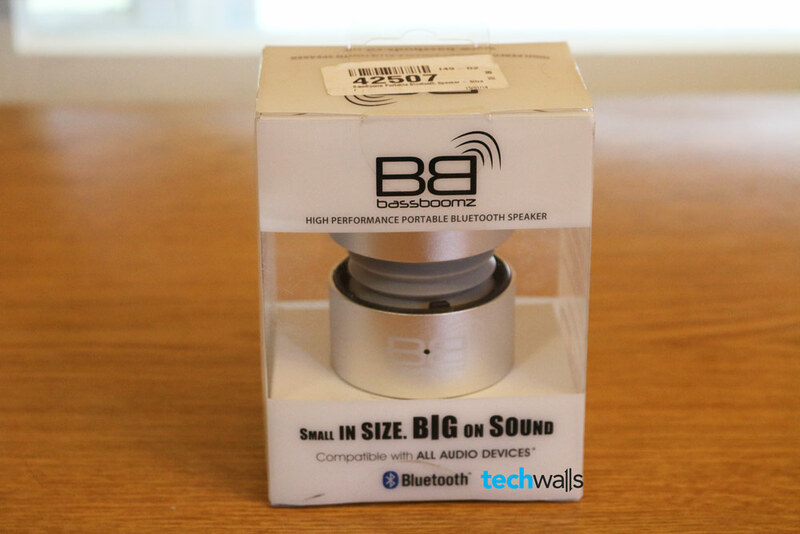 The speaker is small but it is heavy enough, so you won’t feel it as a cheap product. I just don’t really like the silver coating on my speaker because it seems too thin and it looks like a cheap coating. 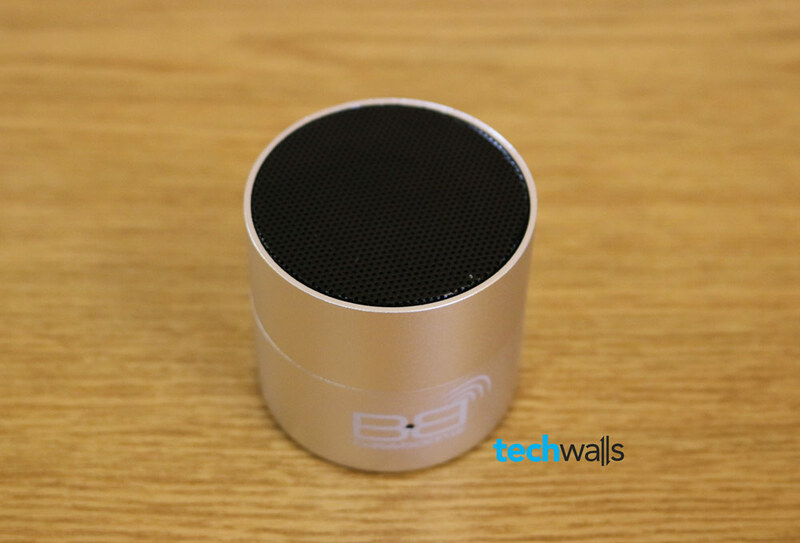 This is purely a Bluetooth speaker and you will not be able to find any other feature like hands-free speakerphone. On the back, there are just a 3.5mm jack, a mini USB port and a Bluetooth switch. The only driver are placed on top and headed upward. You can check out the sound test in the overview video on top. Of course, the reproduced sounds won’t be accurate but you will get an idea of how the speaker sounds like. In general, there is nothing to love in the BassBoomz’s sound. When I close the speaker, the sound is exactly like the mono speaker on the TV I used 20 years ago. Then, I open the speaker to try its Bass Expansion System and it is even more disappointing. There is no rich deep bass tones or crisp treble sounds like advertised. Instead, I just can listen to a very dry sound with no soundstage, lack of details and a lot of distortion. On bass-heavy tracks, the speaker produced distorted and crackling sounds which are unacceptable. The midrange is also affected and I really had difficulties in listening to vocals clearly. Good design with a very compact construction. Thin coating makes it vulnerable to scratches. The speaker doesn’t stand still on the table. Dry sound, lack of details and harmonics. The BassBoomz speaker is available on MobileFun for £50.00. There are a lot of better choices in this price range, and therefore, we will not recommend this product. 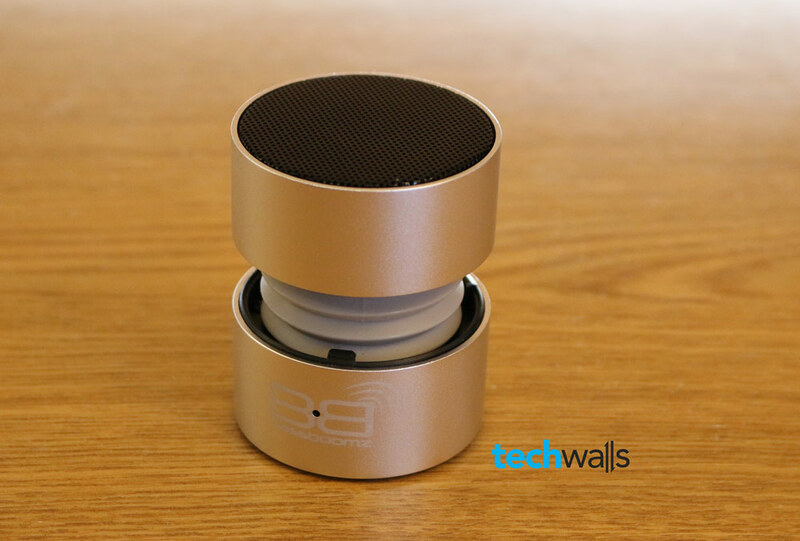 An expensive yet horrible Bluetooth speaker.